A Barnsley Historian's View: Tired and stiff this morning - must be all that dancing! Tired and stiff this morning - must be all that dancing! I've been neglecting this blog for the past month or so I'm afraid. 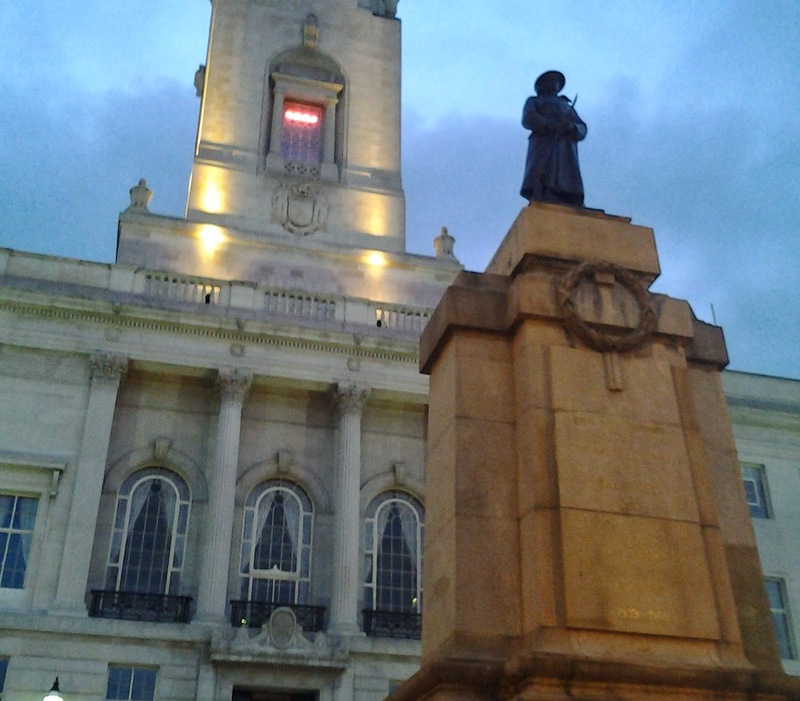 My output on the Barnsley War Memorials Project blog/website does explain it though. 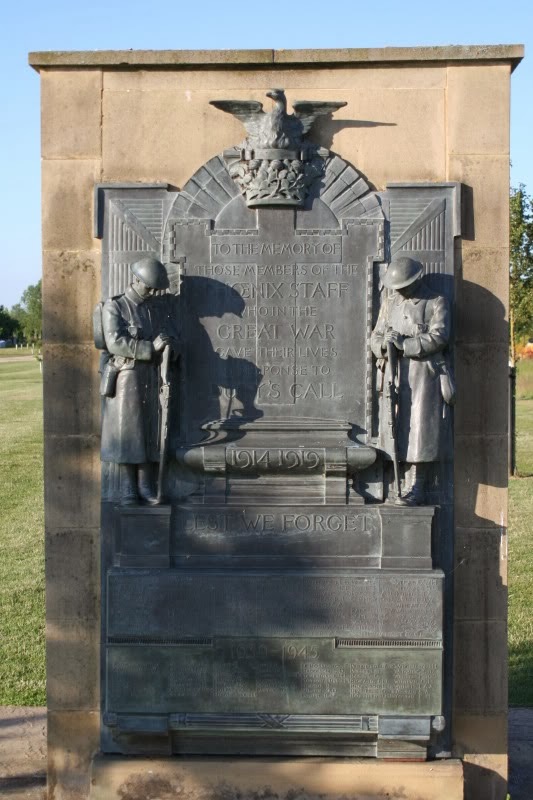 We now have 94 posts about individual war memorials and 29 posts about individual soldiers on the accompanying Barnsley Soldiers Remembered site - since the end of November last year! My friend GB has been contributing posts to the main site as well - don't get the idea it's all my own work - but she has also been working on her own men from St Edward's Church as part of a project to produce a book about the men for the church. She has 40 posts on that site to add to the total output. As you can see we've been very busy. I am also studying an Open University module, 'Europe, 1914-1989: War, Peace and Modernity' and we've reached the Cold War, which I was dreading, it being a topic about which I know very little. Sigh! A 2000 word essay on the Marshall Plan has to be submitted next week ... so far my main insight is that the Americans thought that Marshall Aid was the saving of Europe and the Europeans in the main, disagree. To the point that some even blame it for starting the Cold War ... Double sigh!! The OH (my husband) has his CAMRA work (it's voluntary but as he's been doing it for nearly 30 years it might as well be a job) to keep him busy - when he is at home with me (and that's another story) he's usually on the computer preparing posters or editing web pages or putting together another edition of the Barnsley CAMRA magazine. Plus we have to fit in visits to my mum over in North Nottinghamshire on a regular basis and all those other social events that normal people do. For example this weekend we were at a wedding in Wolverhampton, an old friend in CAMRA was getting married and it was a wonderful do! A nice friendly church service where the priest compared a marriage to brewing and storing Real Ale (you could tell he was a convert!) followed by the reception at a bowling club that is in the CAMRA Good Beer Guide which included plenty of dancing. I have always considered that the best parties need to have dancing! One of the high points for me at my own wedding to the OH nearly 10 years ago was the line up for the Time Warp, everyone from children to older people dancing together in the the barn at the Rockingham Arms. Ah, memories! On the Sunday morning I was quite stiff (that'll be the dancing) and very dehydrated (that'll be the beer) and apparently I had fallen asleep the night before in the middle of eating a cheese sandwich (I had taken a pack up as what with the OH being veggie and my allergies we can never assume there is going to be food for us at events). The OH had been quite worried as he had been unable to wake me to get me into bed properly, but I woke up there so I must have tidied myself up at some point during the night. As it was a lovely day we called in at the National Memorial Arboretum at Alrewas on the way home. We had a nice slow walk around, with me leaning on the OH most of the time, for about two hours admiring various memorials and as usual I had a tear in my eye more than once. They do provide a lot of benches for convenient rest stops, most of them are also dedicated to someone or other so you can read while you sit. We made a point of finding the name of Cudworth's latest casualty, Captain Martin Driver, on the large memorial - killed in Afghanistan in 2010. I particularly liked the display, if that's the right word, from the memorial masons, with examples of different memorials from British history, from cairns to Roman memorials to elaborate 18th century gravestones and on to modern styles. Very interesting. Almost the last thing we saw were two memorials that appeared to be from the First World War - from insurance companies I assume - one was from the Phoenix company. It's a shame they are no longer in their original homes, but I suppose at least they have been saved from the skip. I do hope the Arboretum doesn't turn into a place for collecting unwanted memorials though - local communities should be able to find them a home if they try. Later today I'm hoping to photograph the inside of a local church for some more 'hidden' memorials and tonight is the Friends of the Archives talk at Experience Barnsley. Paul Stebbing will be talking about the new collections that arrived in Barnsley during 2013. Maybe tomorrow I can have a rest?